- You belong in an elite group of people. 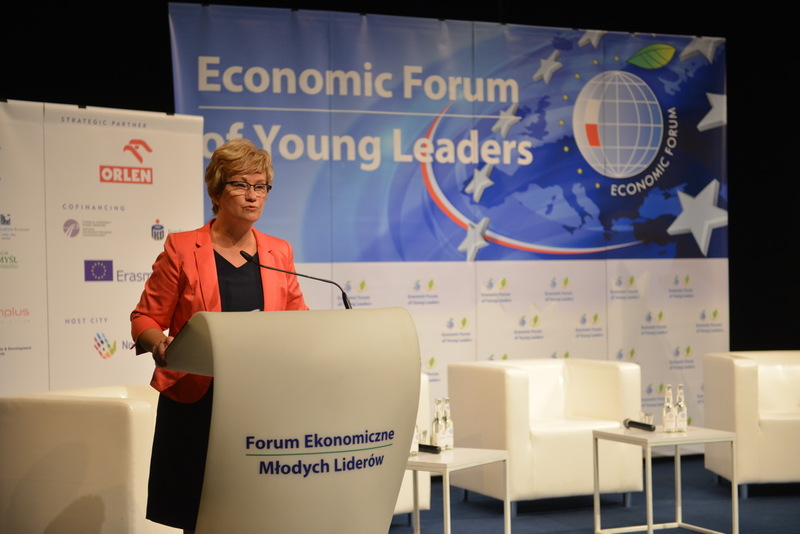 You are the kind of people who take responsibility for the day-to-day running of your businesses, introduce creative solutions and want to change the world – said Marzena Drab, the Deputy State Secretary of the Ministry of National Education of Poland during a special inaugural speech of the XI Economic Forum of Young Leaders in Nowy Sącz. The minister emphasised the fact that Steve Jobs managed to make his dreams come true because he firmly believed that they can indeed come true. 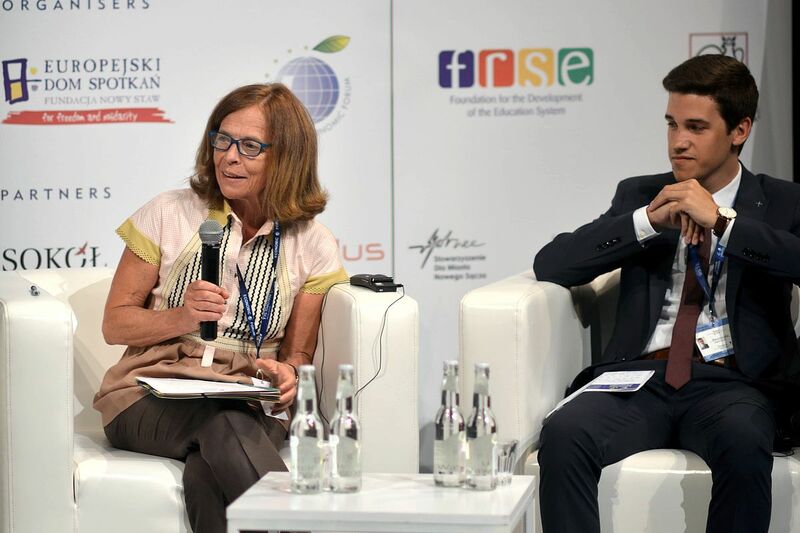 When speaking about the reform that is coming to the Polish education system, she added that Polish schools should perhaps learn from Apple’s founder. The minister quoted a few of Jobs’ words of wisdom that should be remembered by teachers, students, pupils and young leaders alike. 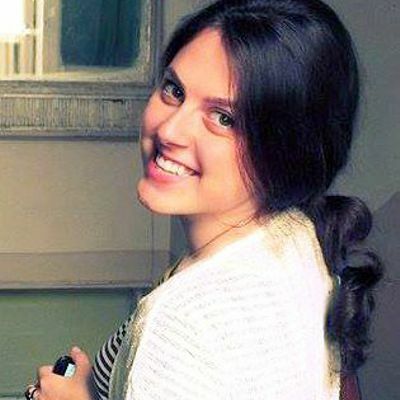 She stressed the importance of thinking outside the box being a basis for creativity. 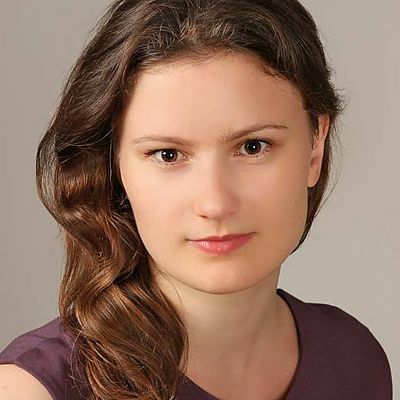 Among the upcoming plans and actions scheduled by the Department of Education that Marzena Drab discussed was learning to program as part of IT lessons at school, access to broadband Internet guaranteed in every school and replacing traditional blackboards with interactive whiteboards. 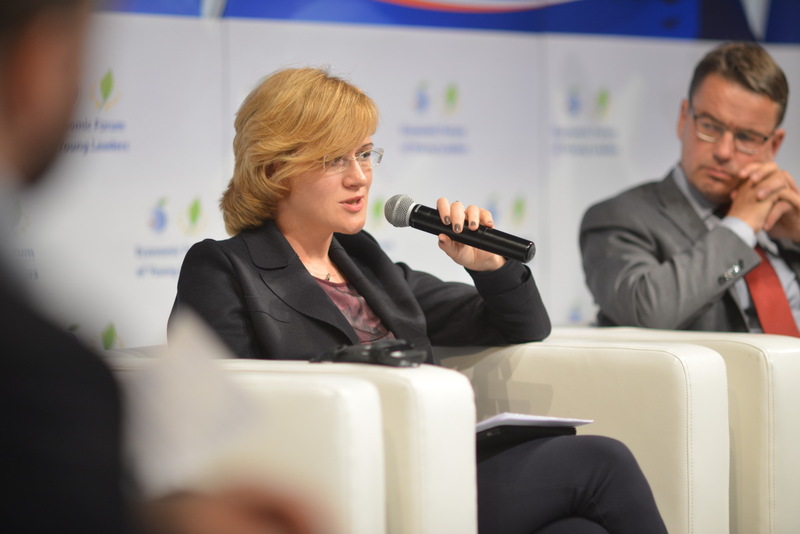 She also mentioned about the importance of history and civic education, and working with NGOs. 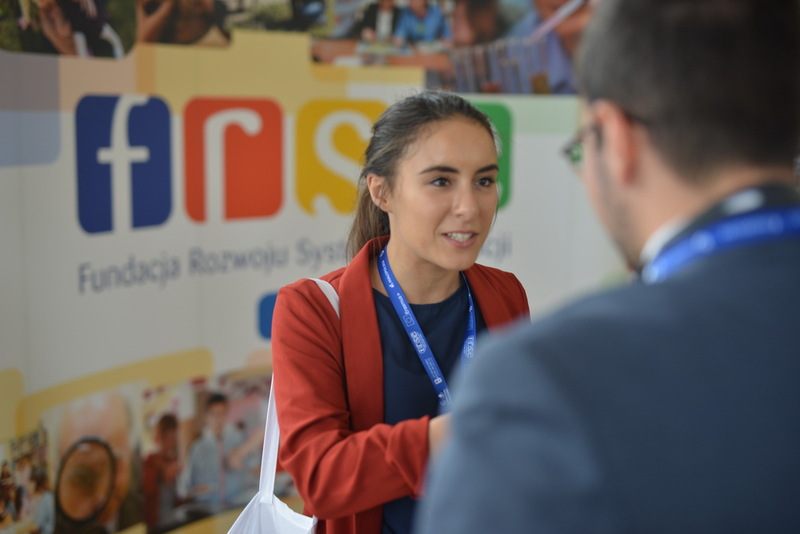 – Just as Steve Jobs believed that he can change the world, I believe that by means of mutual support and inspiration, a Polish school is able to create ambitious and creative individuals, for whom only the sky will be the limit – she said. What sort of skills and competencies should a modern school teach? 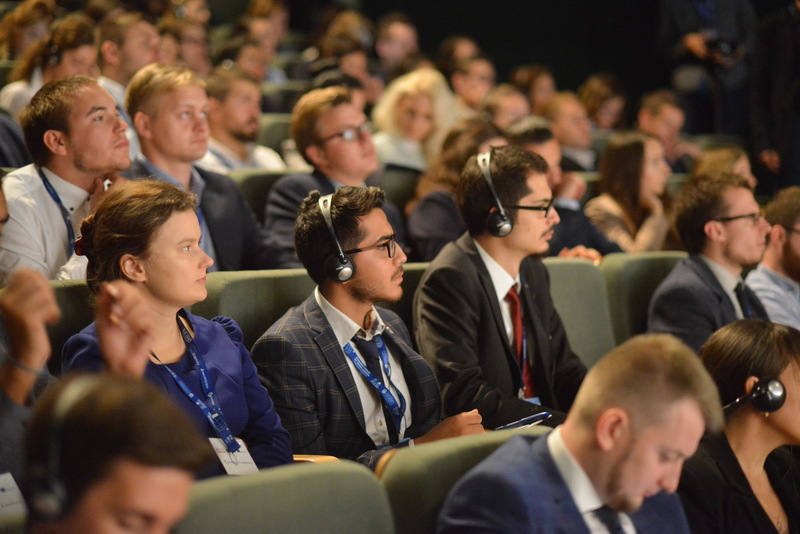 Intellectual activity, spontaneity, the ability to set targets and follow one’s passions, as well as young age – these are all assets of young leaders as pointed out by the Marshal of Lesser Poland Jacek Krupa at the opening session of the XI Economic Forum of Young Leaders. 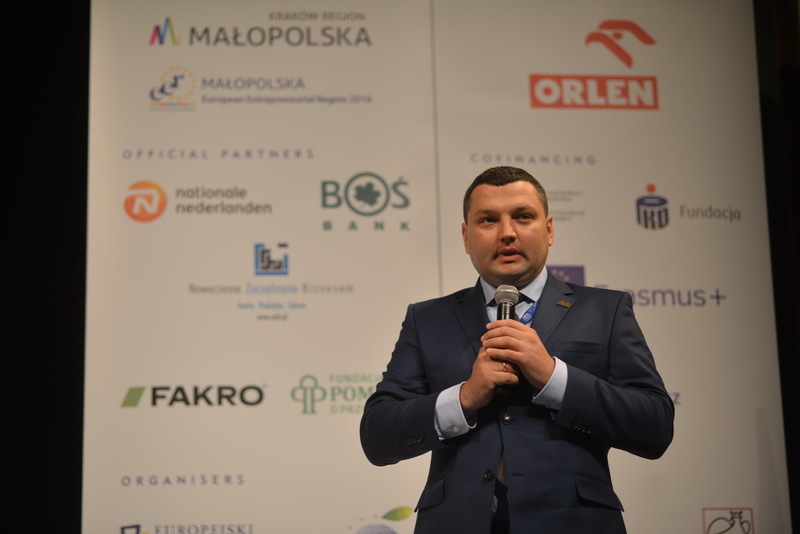 The marshal had said that in the year 2016 Lesser Poland was awarded the title of the European Entrepreneurial Region. He stressed that this was, among other things, thanks to the young people studying in primary schools, high school as well as higher education students, who amount to around 200 thousand in that region. 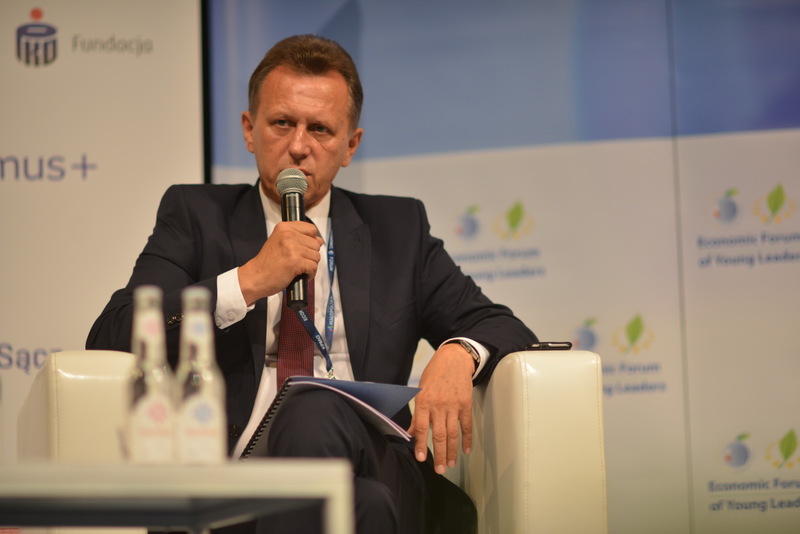 – They are our greatest asset and driving force – admitted Jacek Krupa. 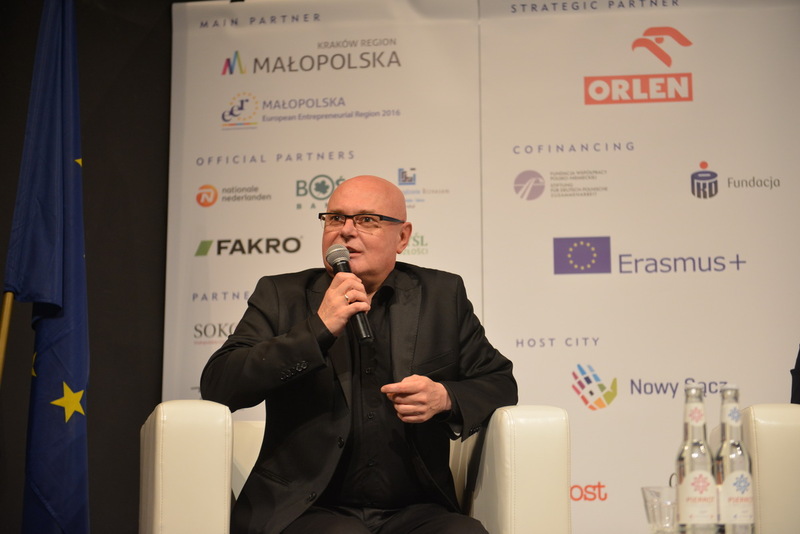 The President of Nowy Sącz Ryszard Nowak stated that politics cannot be separated from economics, and vice versa. – The debates you’ll be having will touch upon many different areas of expertise - he said. 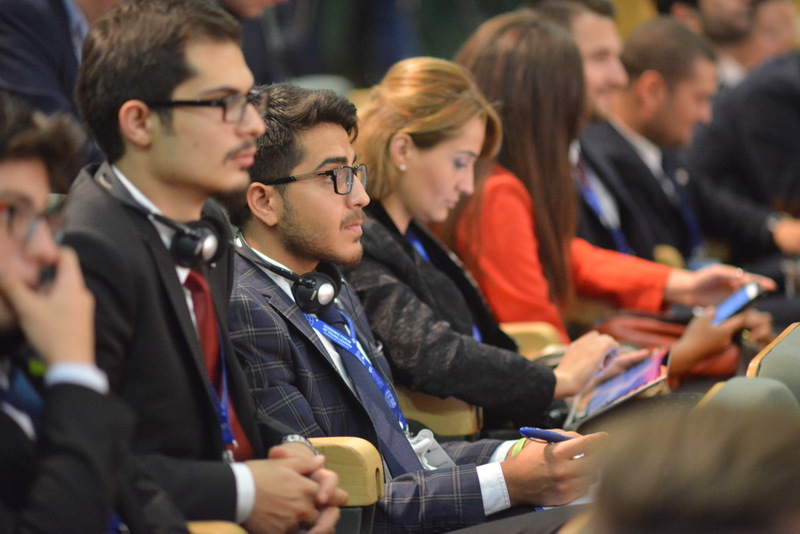 – Many of you will also take up important jobs in your countries, in your workplaces. 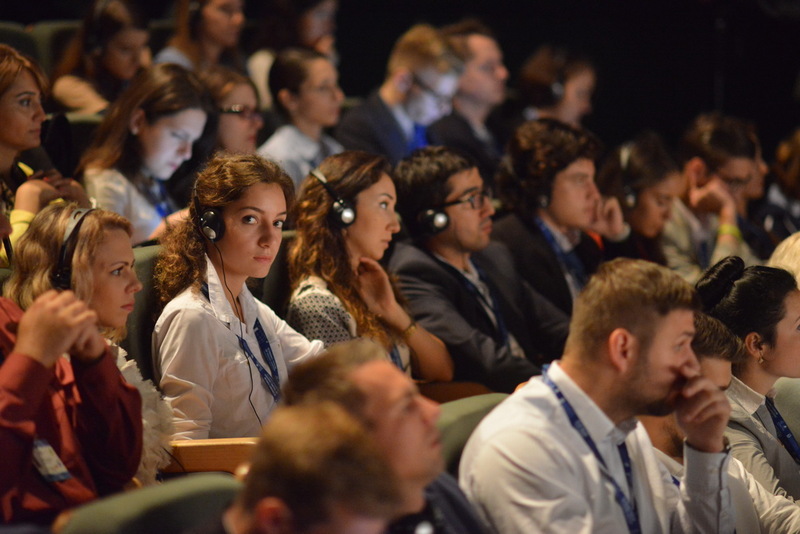 The Forum is a chance for you to exchange outlooks, put your ideas forward and to show that young people of Europe unite in creating the local realities in spite of the dangerous occurrences that we unfortunately see nowadays. – he added. 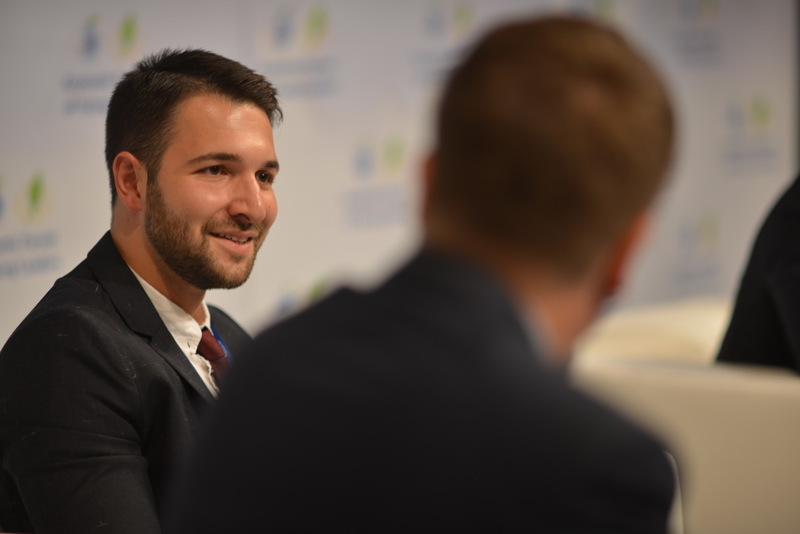 – When I meet with the Marshal and the President, they often remind me that there will always be a place and funds for young leaders. 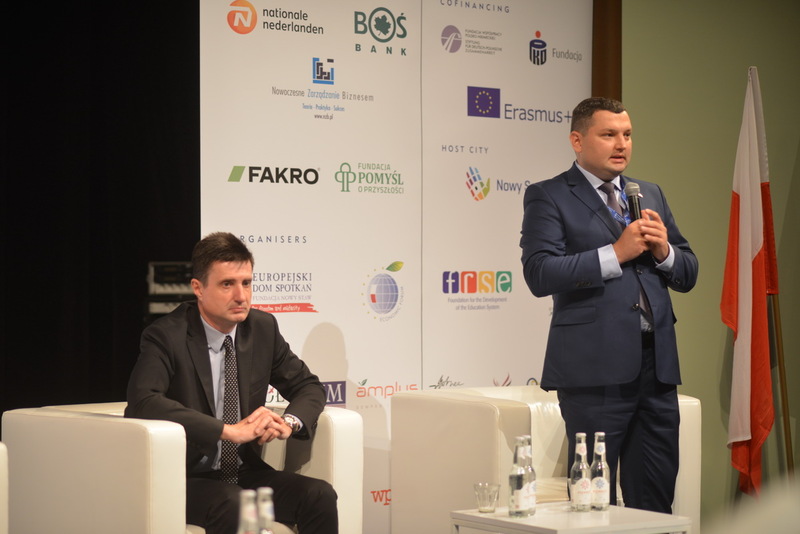 I thank them sincerely for their commitment – said the President of the European Meeting Centre - Nowy Staw Foundation Michał Wójcik. 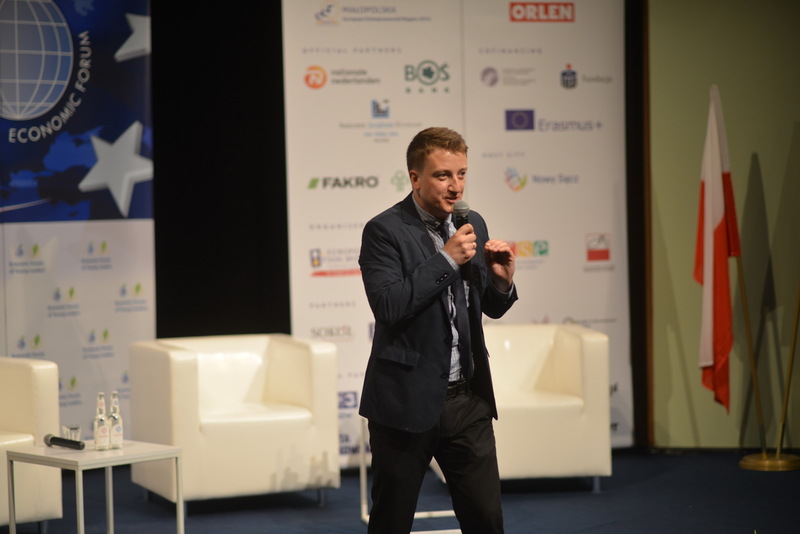 – Most of you are probably familiar with our Foundation – acknowledged the General Director of the Foundation for the Development of the Education System (FRSE), dr Paweł Poszytek. 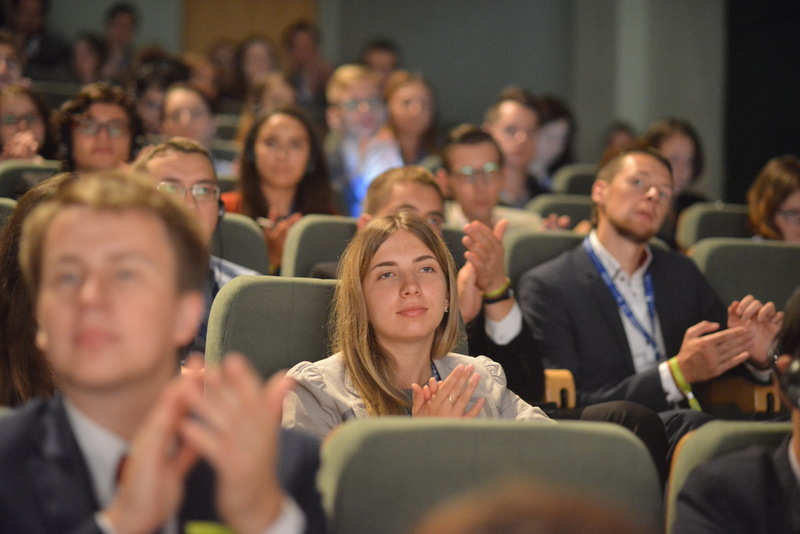 – The actions that we take go above and beyond this Forum, and in particular concern the Erasmus+ program and its “Youth” component, as well as the Ukraine–Polish Youth Exchange – he added. 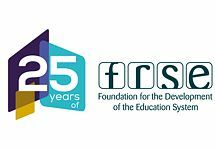 The Director of FRSE also encouraged the Forum’s participants to take advantage of the assistance and opportunities for growth offered by the organisation. 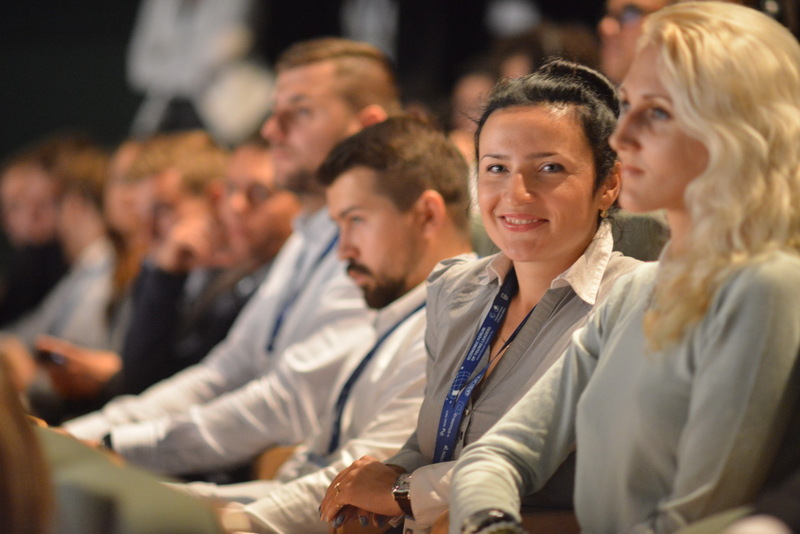 – I was most impressed the enthusiasm, willingness to work, courage and experience that the participants of my workshops showed when solving the tasks ahead of them – said Dagna Galerownia, one of the five hosts. 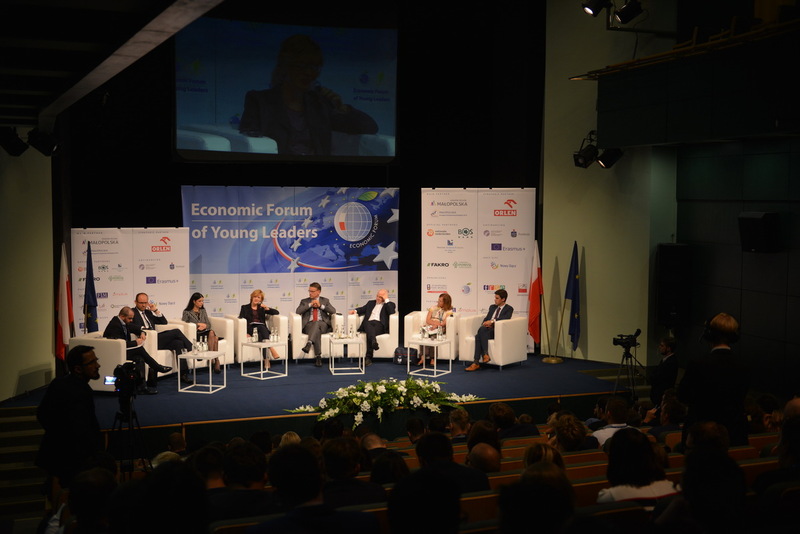 Among those who took on the task of youth activation were also Anna Huminiak, Eliza Zadłużna, Kuba Radzewicz and Wojtek Spychała. 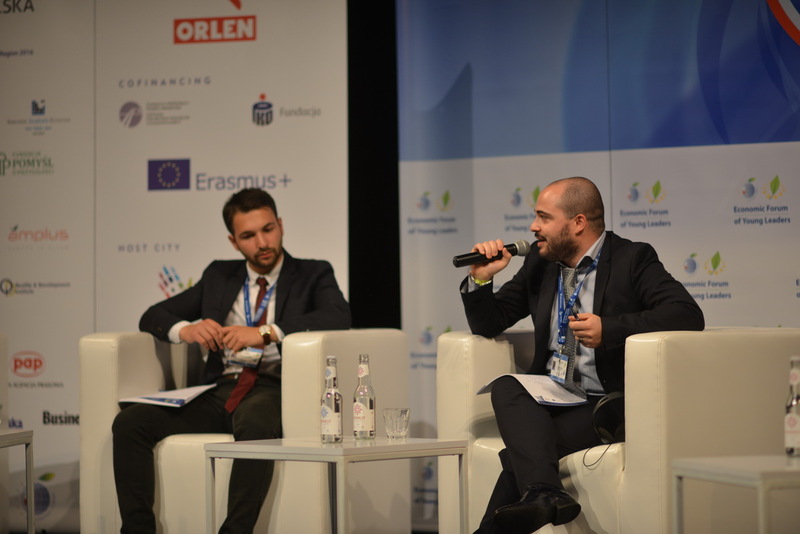 – The most important thing is to give the participants a space in which to share what they have in mind – said Wojtek Spychała when asked about his way of organising a workshop. The workshop part had begun just before noon. 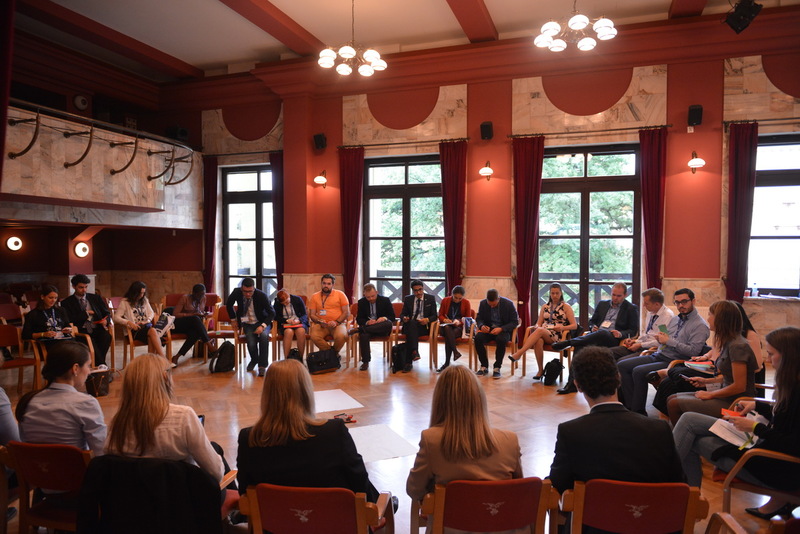 Over one hundred individuals where grouped into ten teams and started working on one chosen topic on the issue of equal partnership. 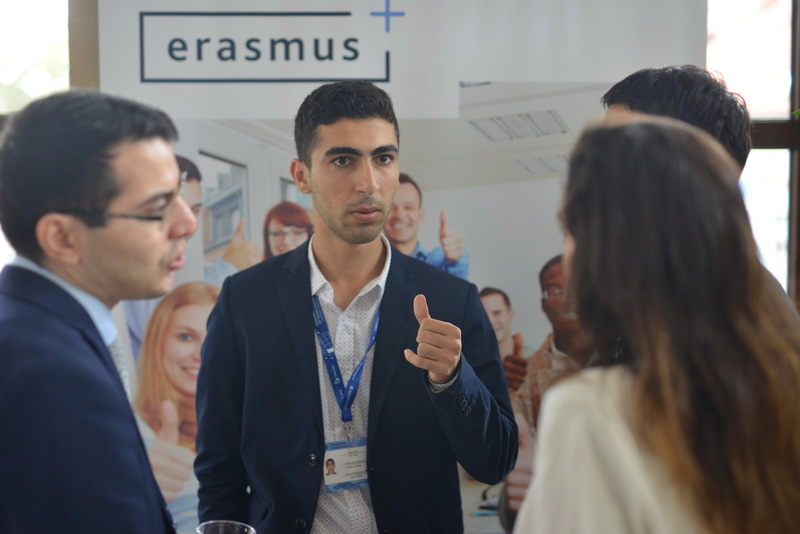 – It’s very important for me to listen t what others have to say and their experiences in otder to understand another person’s point of view – explains Yannis, a participant who joined the workshop all the way from Cyprus. 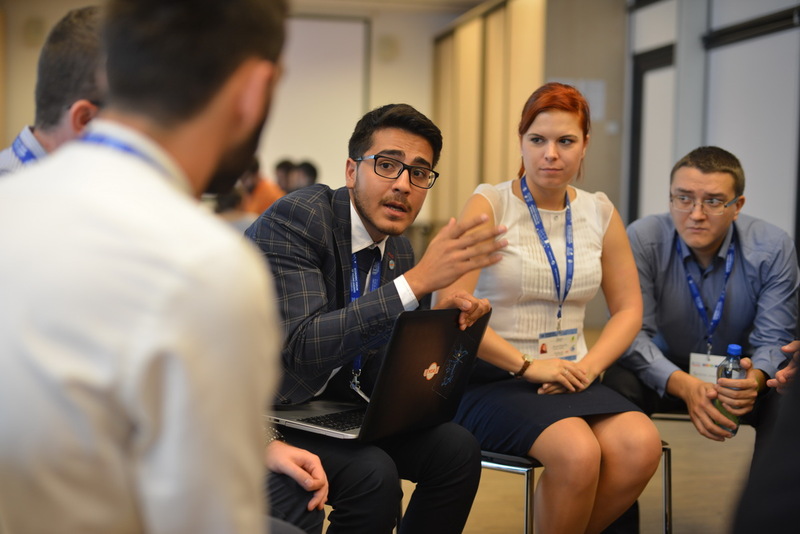 During the workshop’s summary, young leaders pointed towards the difference in the perception of any given topic, caused by being part of different nations. 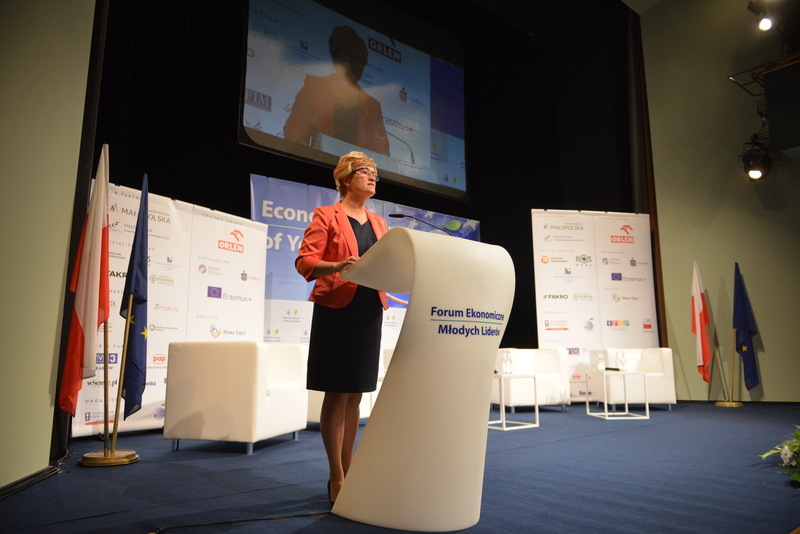 – The participants’ findings will be gathered in a virtual declaration of equal partnership. 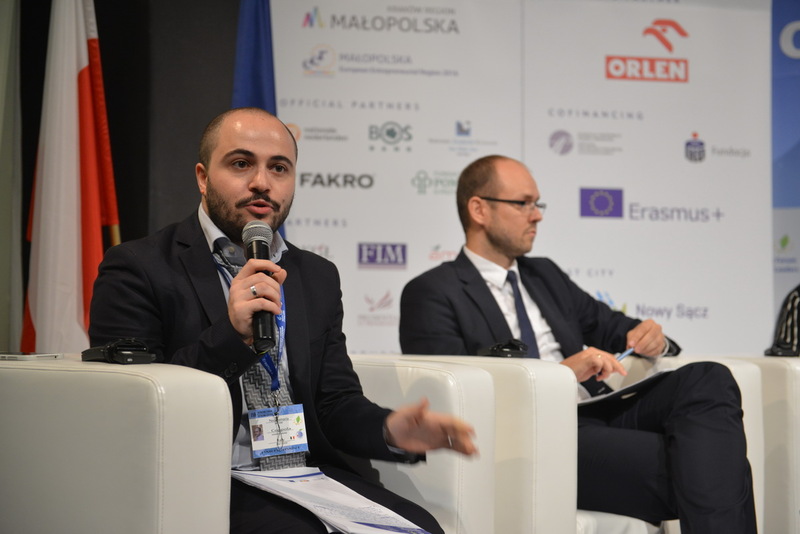 We want it to be a basis for cooperation between people – said Dagna at the end of the workshop on good and equal partnership. 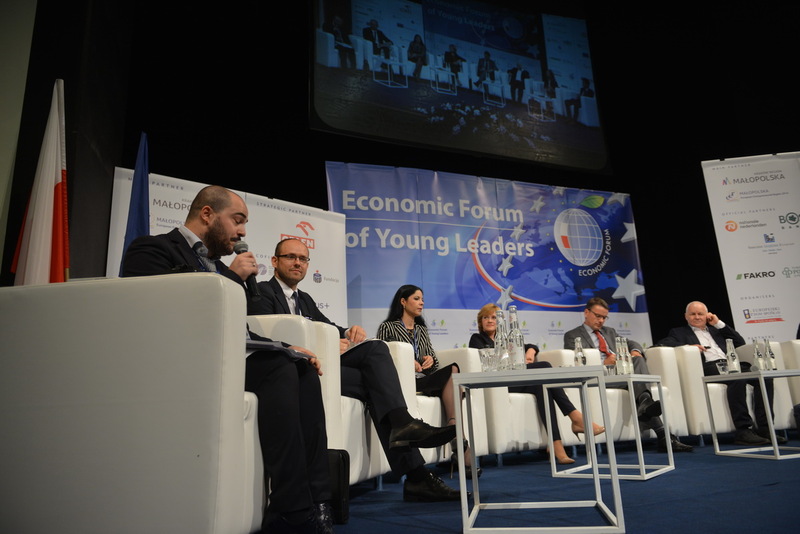 What happens at the workshops during the Economic Forum of Young Leaders? 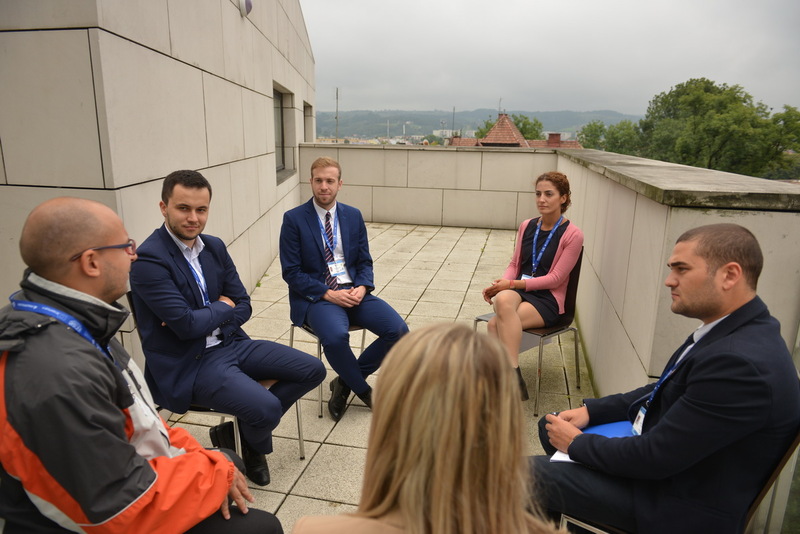 The second workshop was marked by getting to know each other, listening to and trying to understand the co-workers. What makes a good leader? What values should he follow? Do people come together in groups in order to achieve their goals, or is it because they feel the need to continue their relationships? These were some of the questions that we asked the participants in Sichrawa’s room. 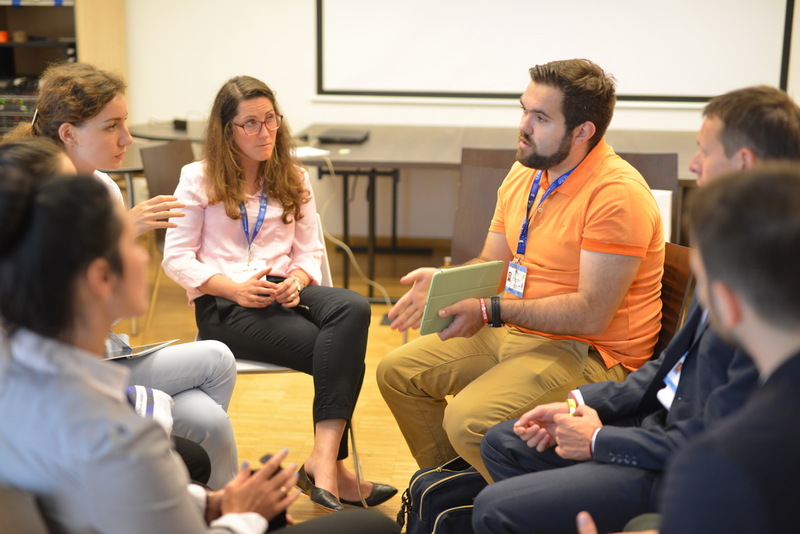 When asked about the participants’ motivation, the hosts usually pointed towards wanting to find partners to work on their projects with, to meet new and interesting people and to improve their communication and team work skills, or the benefits of intercultural experiences in international groups of people. 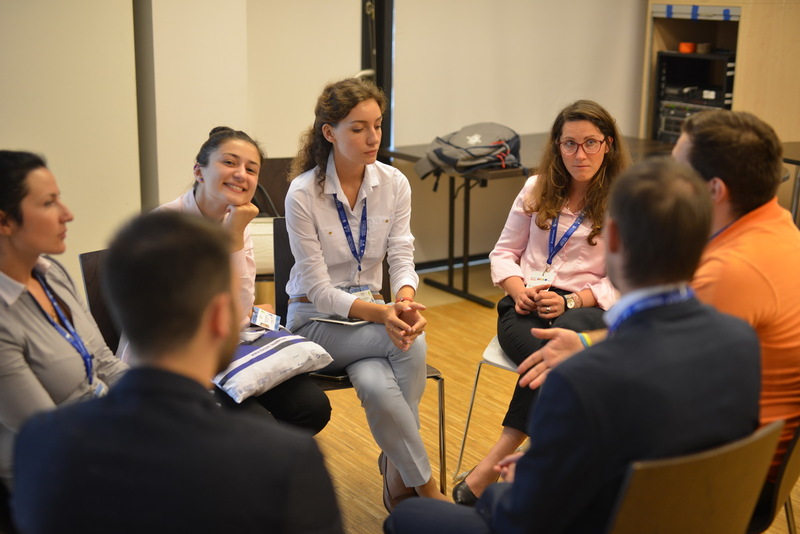 – The participants of my workshop really surprised me with the multitude of ideas they had and their readiness to create bridges to achieve a common goal – pointed out one of the hosts Wojtek Spychała. 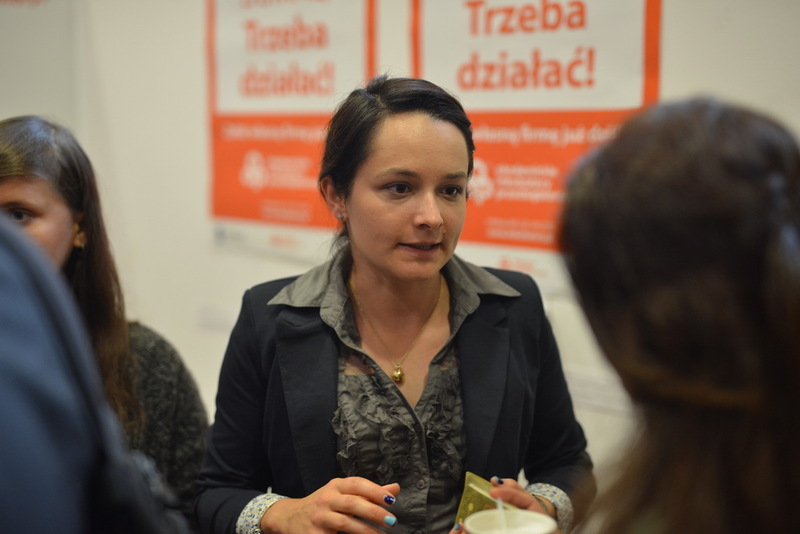 – Orderliness and diversity create a nice synergy which in turn enhances the effectiveness of cross-sector activities – summed up Eliza Zadłużna. 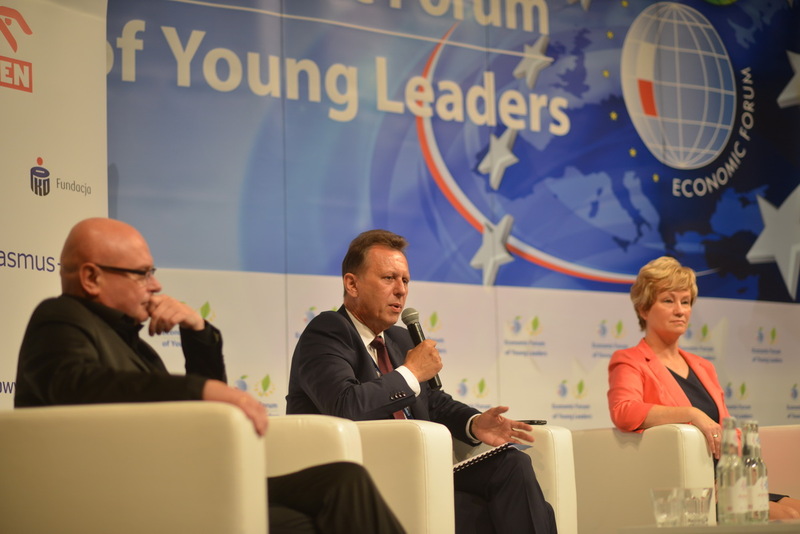 Debate of current leaders with the leaders of tomorrow. Future of Europe in the next decade. 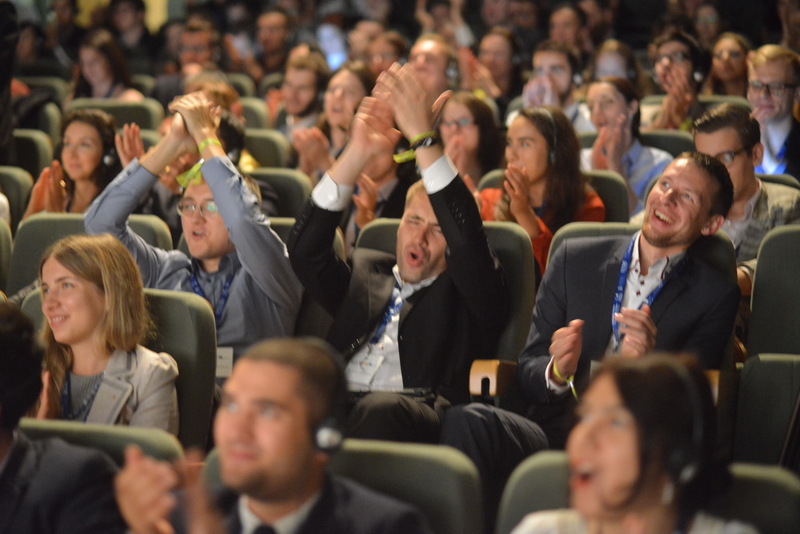 Let me be optimistic and believe that situation of union will influence the future even stronger, that it will form a community of democratic states from Atlantic Ocean to the Urals, European continent would act like a single entity without borders and military confrontations. That the EU will spread from Ukraine to Scotland forming a space that share values of humanity and appreciates human life and freedom. A land of happiness. For a half billion people it is not a problem to allocate refugees or to help poor regions live better and solve any other problem if there is a will and a vision. I hope there would be. 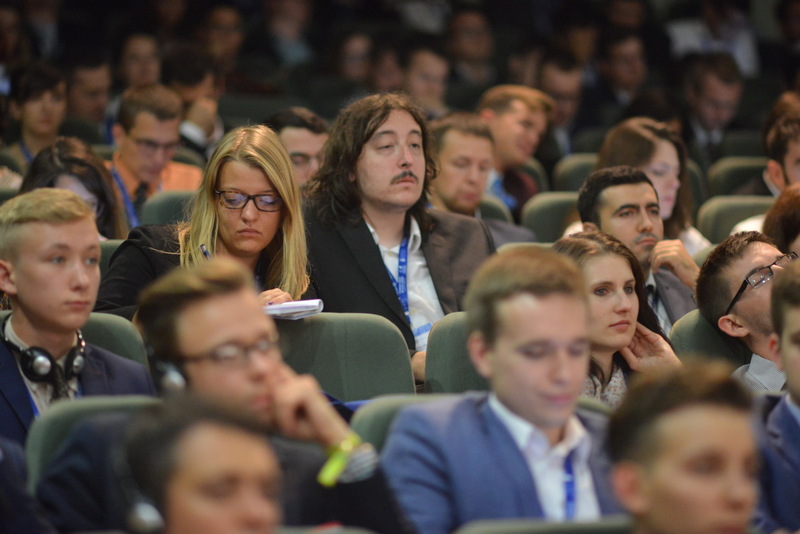 The participant of the debate on the future of Europe agreed that due to the dynamic changes and significant uncertainty on an international level, it is impossible to tell what awaits the Old Continent in the next few years. However, the majority thought that the keys to fixing previous mistakes are unity and consensus. 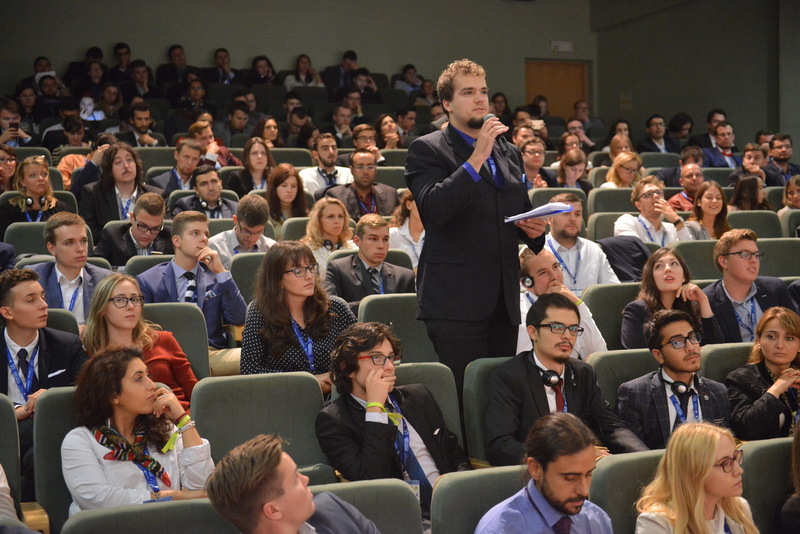 The first part of the discussion focused on the question of why young people do not participate in political and social life. 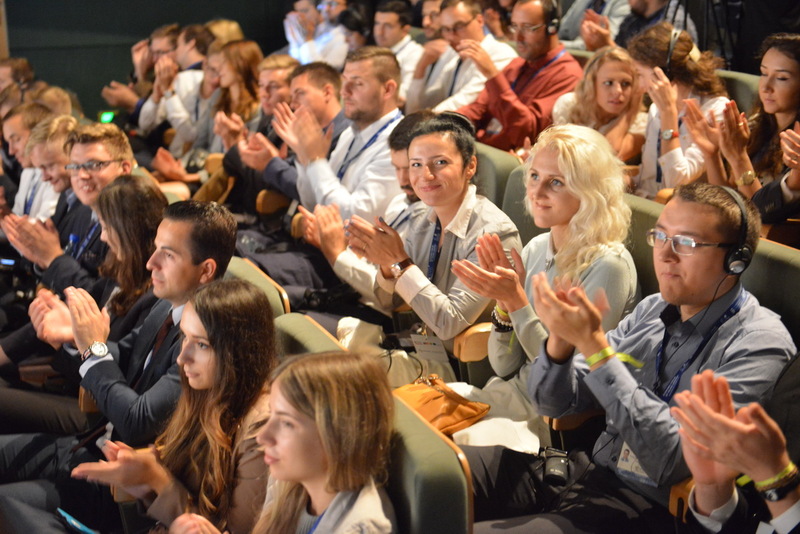 – When the appropriate channels and possibilities are available, it becomes clear that young people have a lot to say and a number of good ideas – said Jan Krzysztof Bielecki, former Prime Minister of Poland and Chairman of the Partners Board at EY Poland. 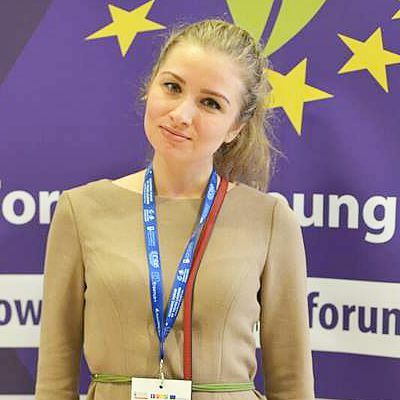 – I often hear that young people do not participate in public life. That’s not true. 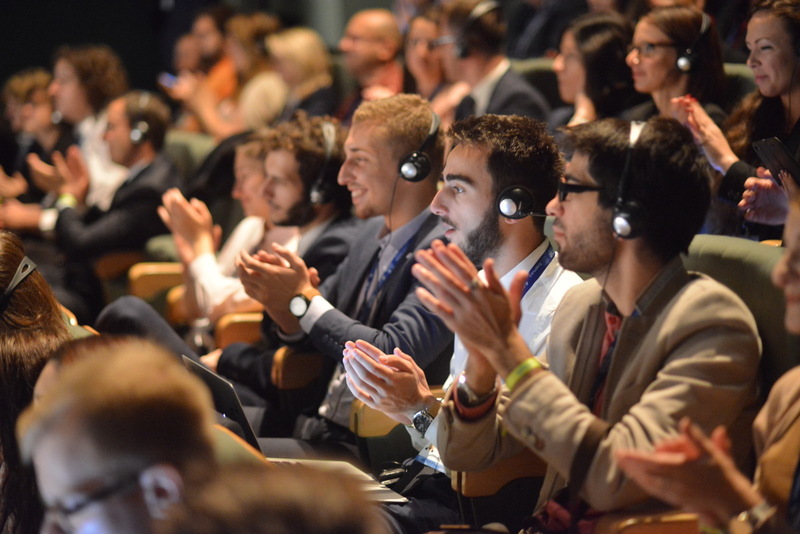 They do participate, but in different new ways – said Margarida Marques, the Portuguese Secretary of State for European Affairs. – My formation wants to change Europe as we see it: one with growing nationalism, mass migration and increasing inequality. 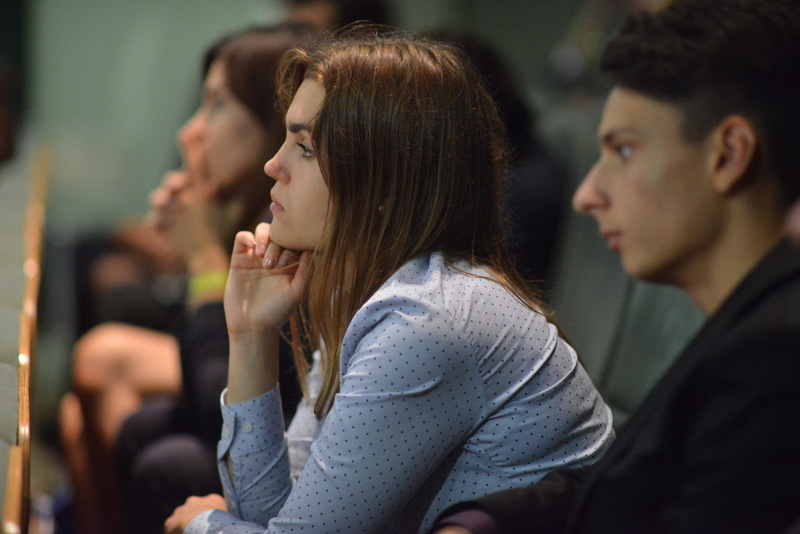 But in order to turn this page over we need the support from the young generation – she argued. - I am most concerned by what’s happening in Europe. 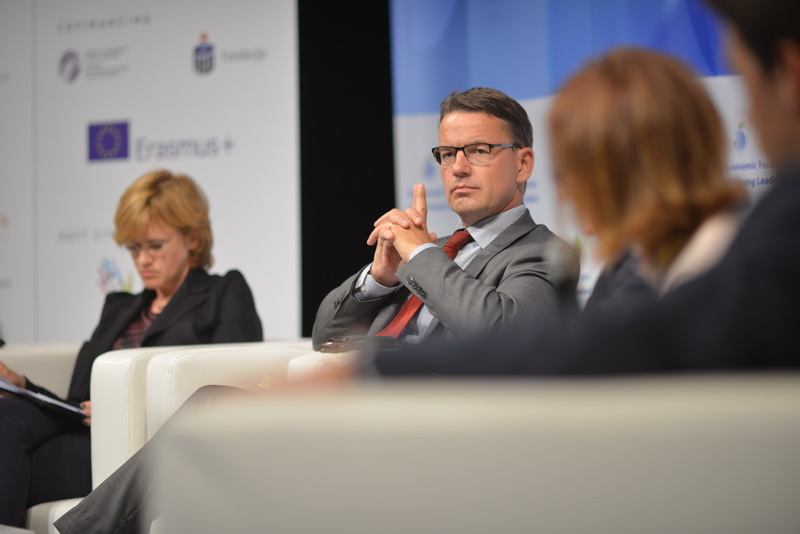 Nations no longer trust one another, countries are pulling out of international cooperation – said Christian Friis Bach, the Executive Secretary of the United Nations Economic Commission for Europe (UNECE). – After all, the aim of the so-called Islamic State is having us terrorized to the extent that all neighbours will fear one another. 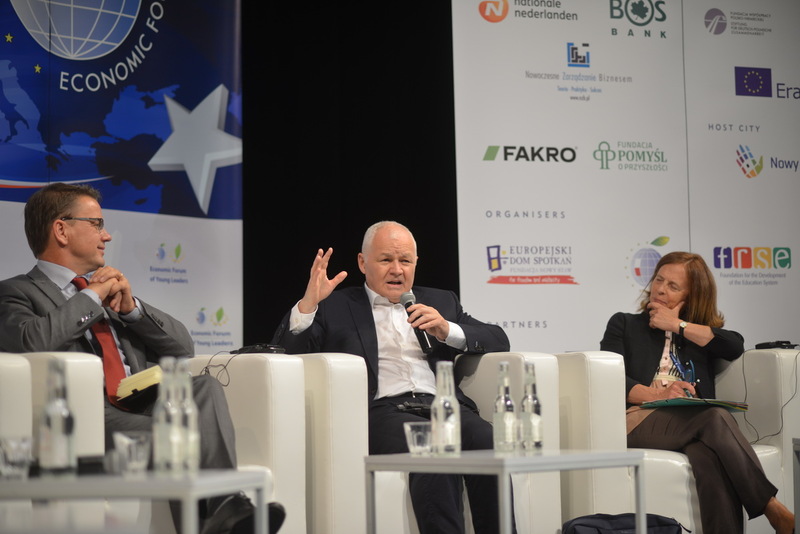 We need to create a united Europe once again – he argued. 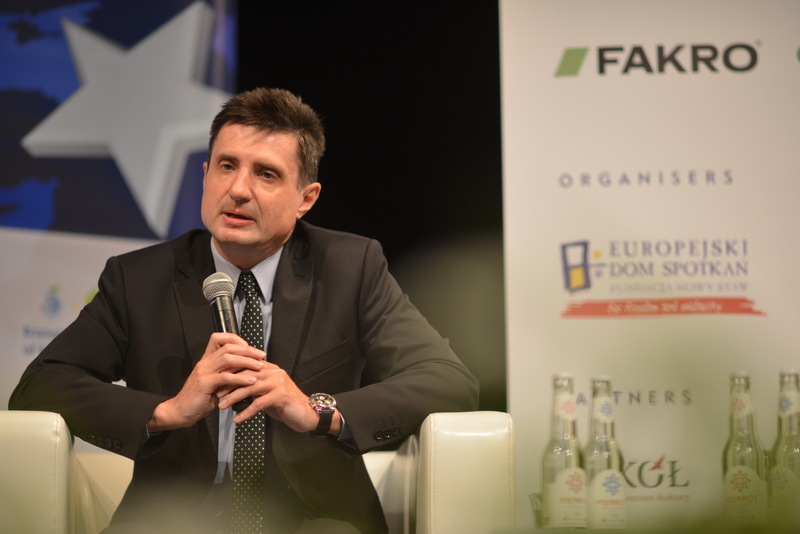 – Communicating with the society, explaining to them what it is that European Union does, is the Achilles’ hill of the EU – said Zanda Kalniņa-Lukaševica, the Parliamentary State Secretary for the European Affairs of Latvia. 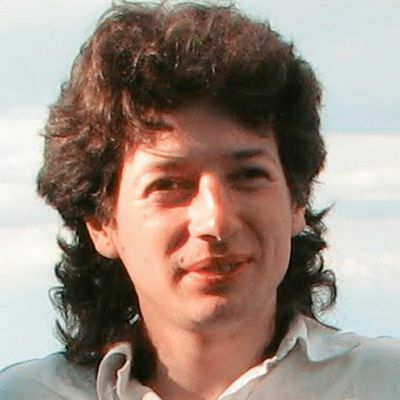 – We need to regain their trust through communication – she added. 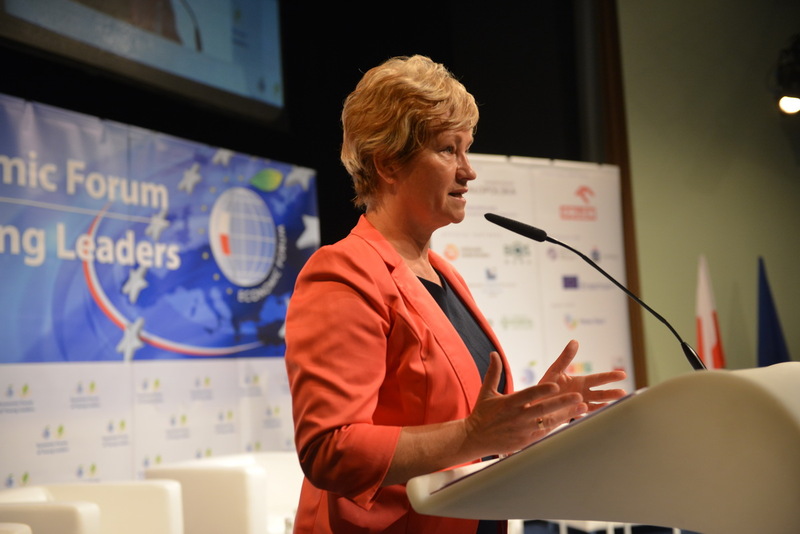 – I believe that it is the duty of each one of us to continue the European project – declared Ana Birchall, Chairperson of the European Affairs Committee, Chamber of Deputies. 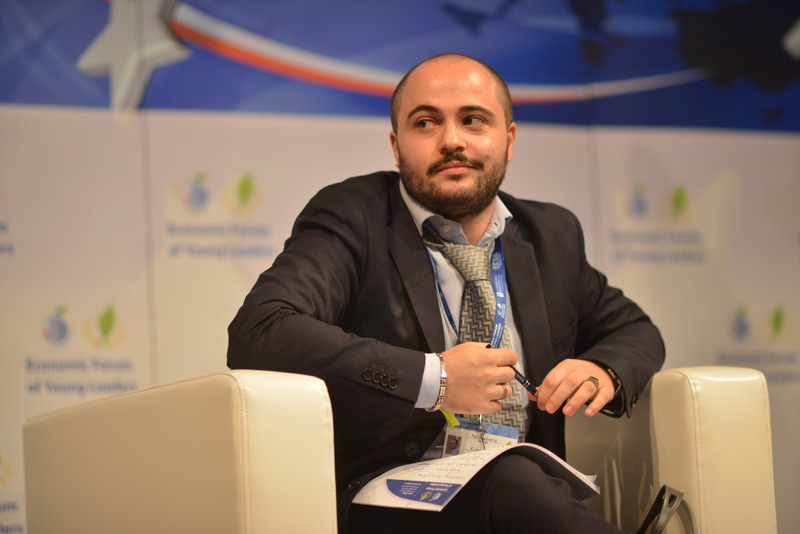 Marcin Przydacz, Deputy Director of the Foreign Affairs Bureau at the Chancellery of the President emphasised the fact that we mustn’t forget about the external threats to the EU and about those countries who wish to rule over others. – I think that there is less and less afterthought in young people. 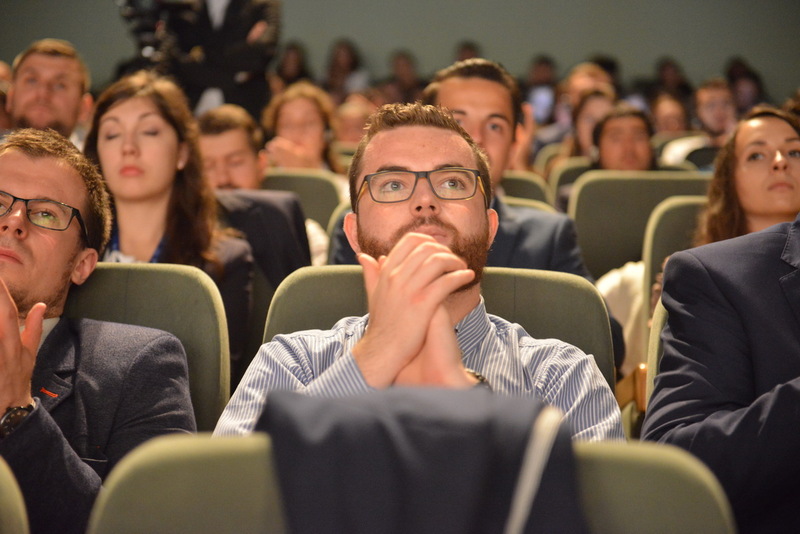 They are offered new internship models, debates, meetings and outings, but never asked about their afterthoughts or taught about the importance of it – he noted. – My plea, as a man freshly off your side of things, is the following: you need to read some classic philosophy – he summed up. 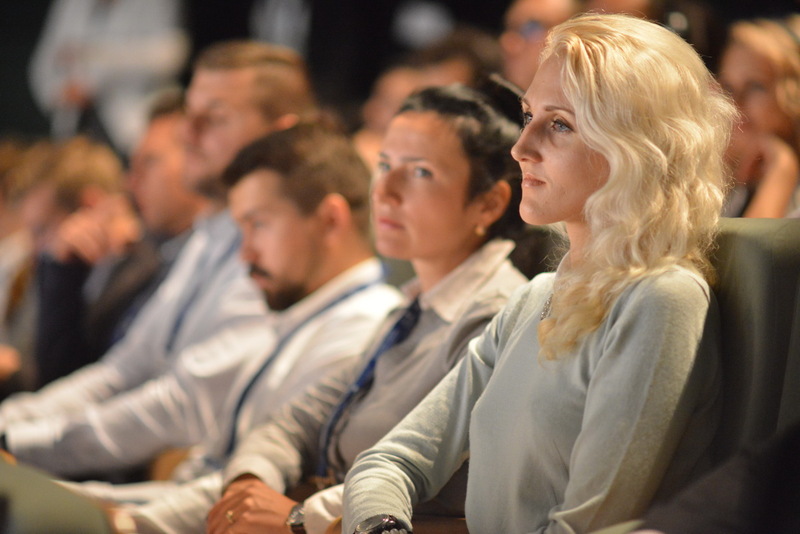 In result of last year's financial crisis Europe will remain deeply divided for the next decade and it will be hard to regain its full strength. 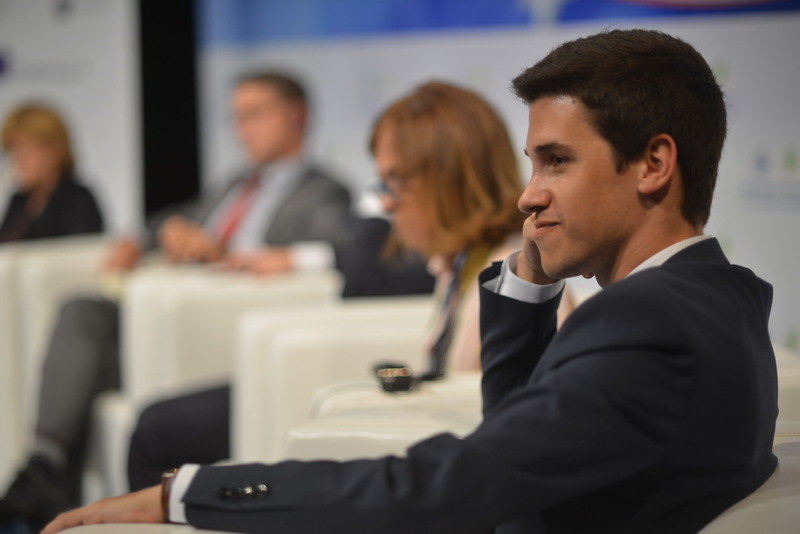 The European Union will handle the situation in some sense but the problem is that, its economy will be governed by bilateral or limited multilateral relationships. 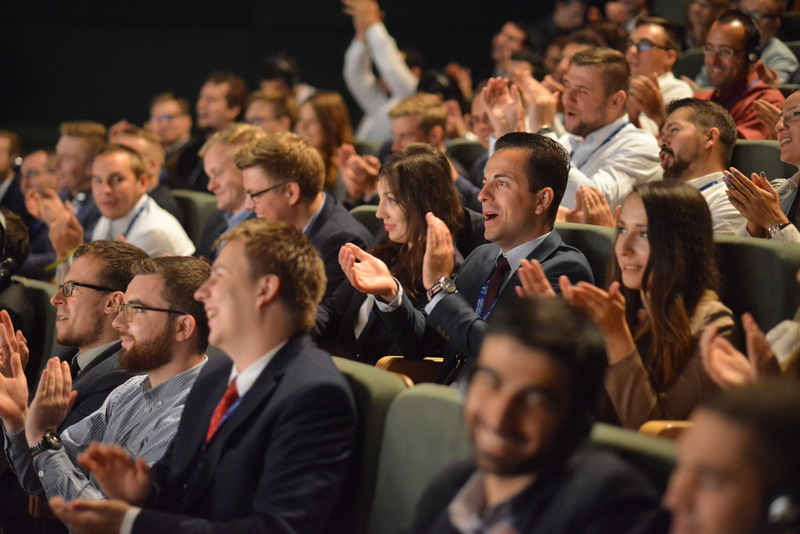 Increased nationalism and a rise in Euro skepticism will also hurt the EU by countries looking at solving their own problems before looking outward. The crises that we expect to take place in the next decade are far from the worst seen in the past century and they are no worse than those that we will see in the future. 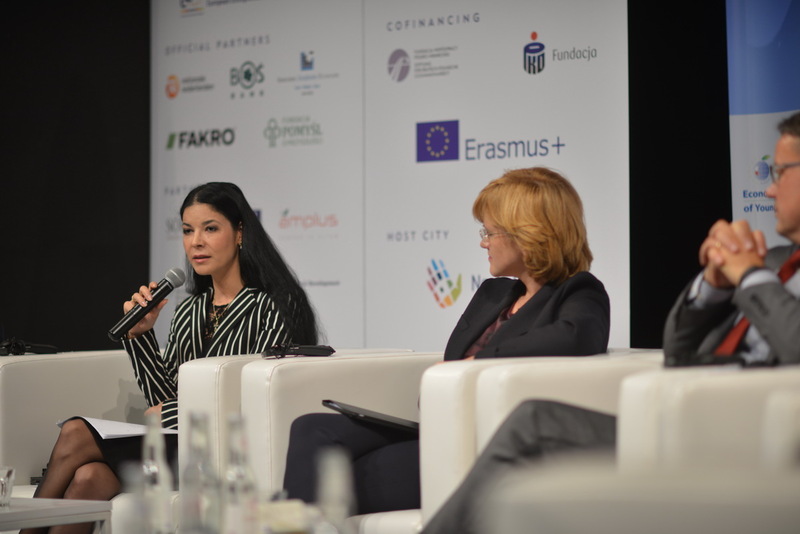 In nearest decade Europe will face a lot of challenges to test the possibilities of cooperation and solidarity between the countries. Maybe this zone of usual stability, security and prosperity will transform to something new, for example, the EU have all goods to change its’ borders. 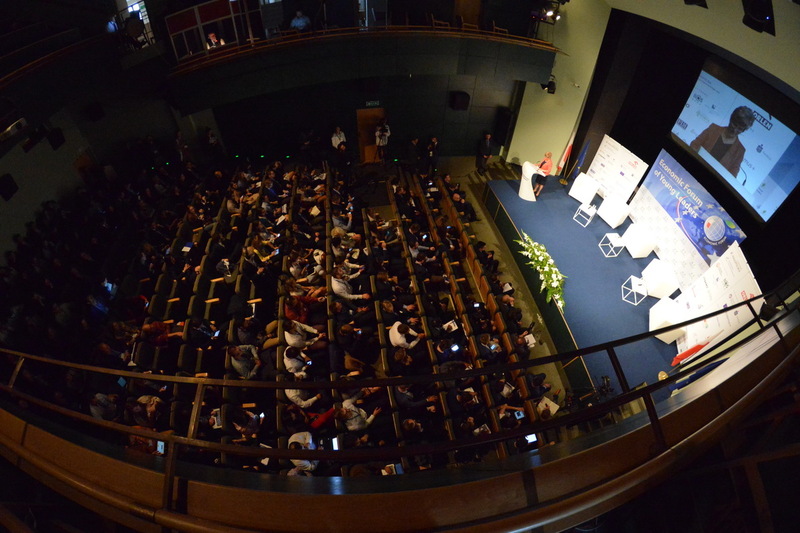 Also we will see the opposition of different political systems, religions, economic trades and social situations. 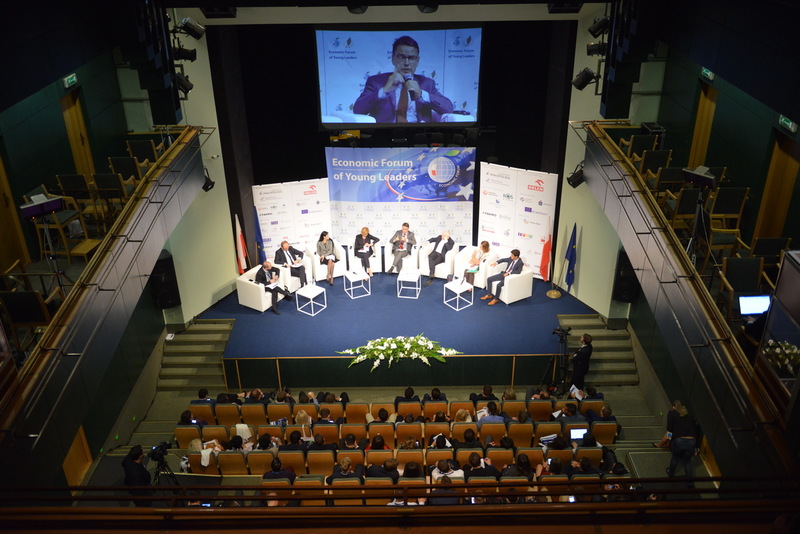 Beside all this obvious facts, Europe will join the new informational and technological era. All these challenges will require a great deal of motivation, cooperation, real projects and international leaders to build powerful Europe. Europe in the Next Decade. 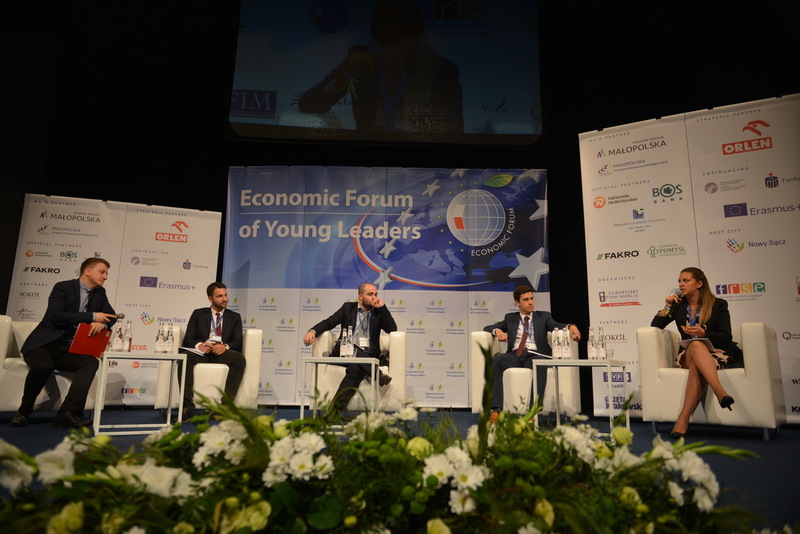 I’m really glad that I was a participant of The Economic Forum of Young Leaders in 2016. 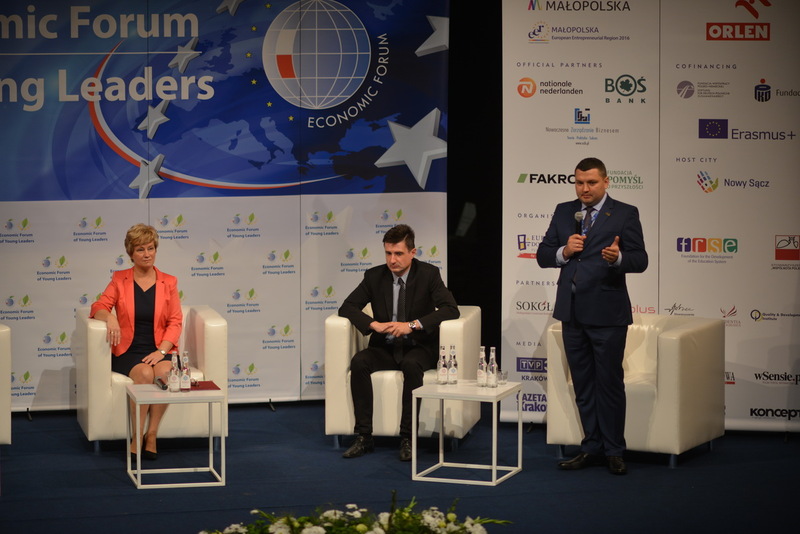 I enjoyed friendly atmosphere through all days of the Forum which was nice and favorable to productive discussions. 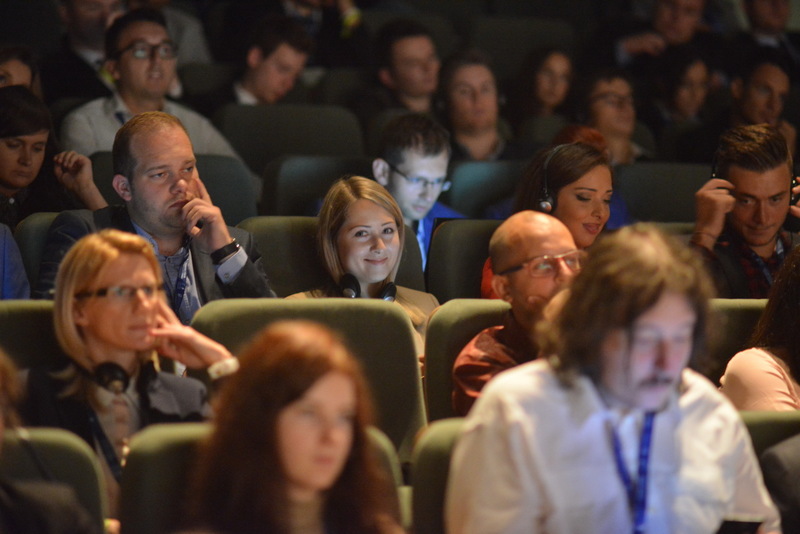 I appreciate that all participants were very polite and considerate to each other. 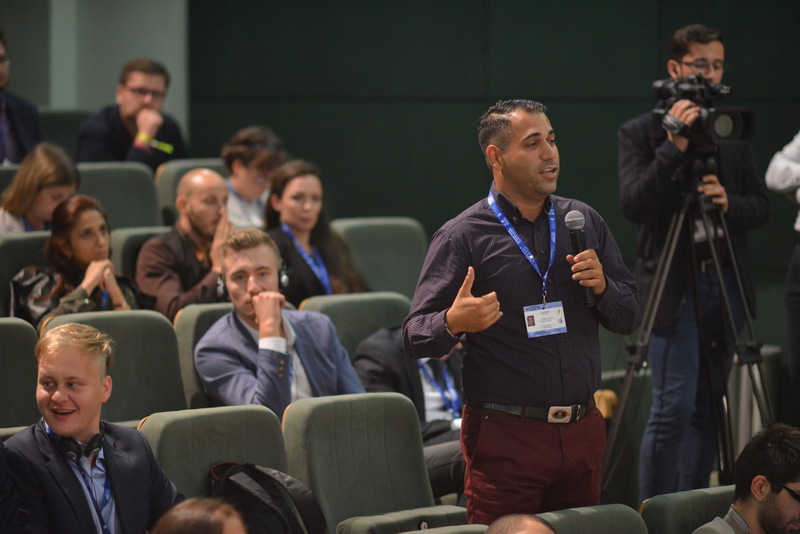 Even on a high level forums and conferences for grown ups there are often disrespectful statements and expressions, for example between participants from Russia and Ukraine, Armenia and Azerbaijan and so on. 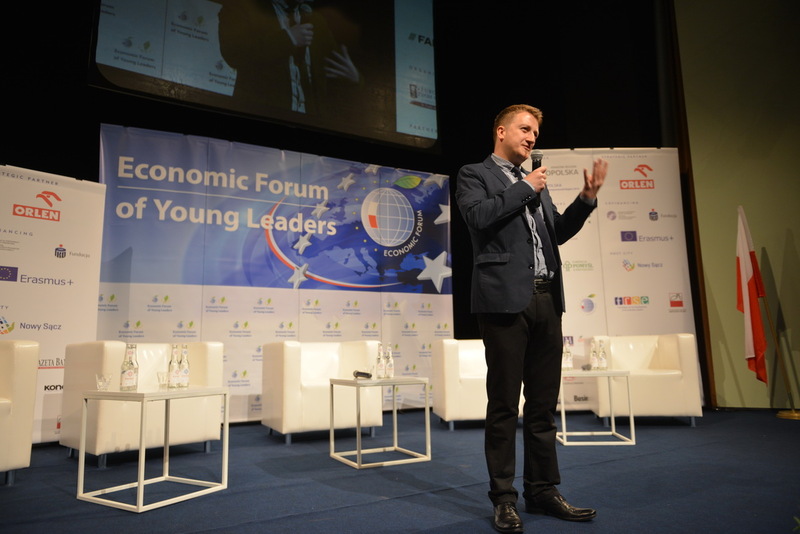 But on the Economic Forum of Young Leaders in Poland all participants were very tactful, self-restrained and well-mannered. 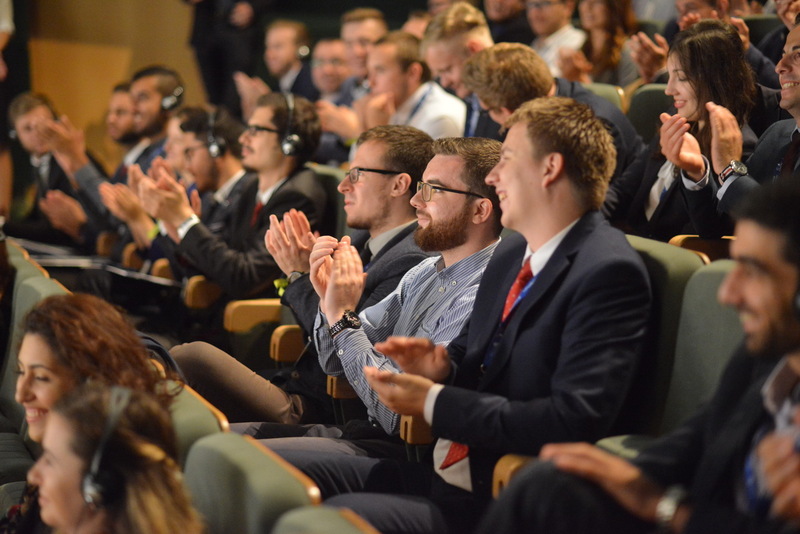 At the same time, for sure, we had different points of view and opinions and the debates were exciting and heated. 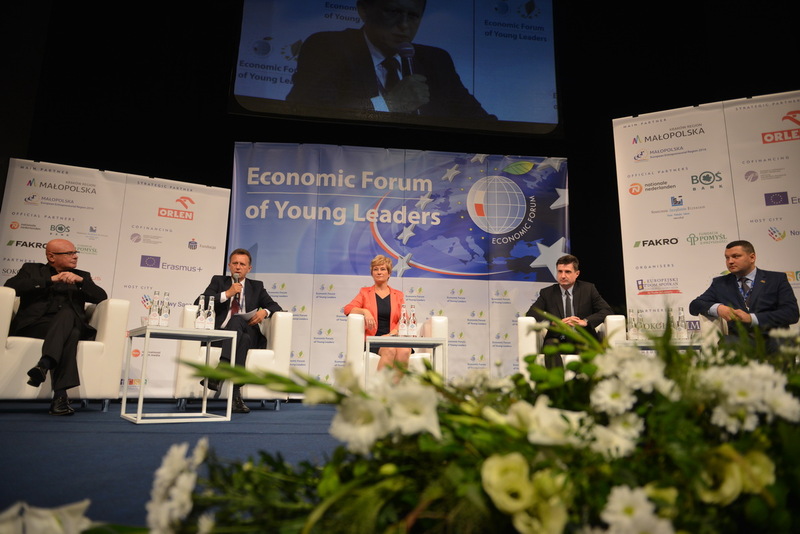 I was also impressed that Polish high-level officials attended the Forum, they found time to speak with young people about economic problems and situation in Poland and the European Union, the future perspectives and challenges. As a present we received a book “Why in rich countries of Western Europe people earn four times more than we? 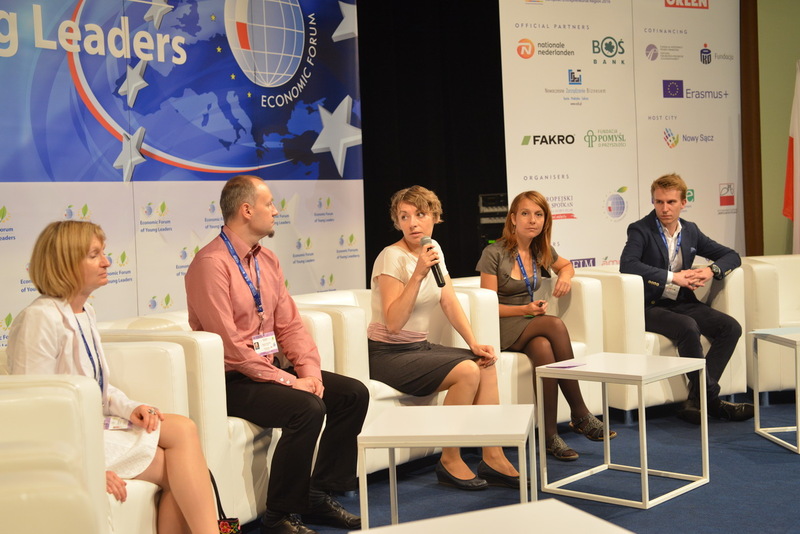 How can we influence it?” and I really liked this book, it shows that Polish scientists, officials, analysts, businessmen are thinking about the future of their country.